It's free, and back by popular demand! 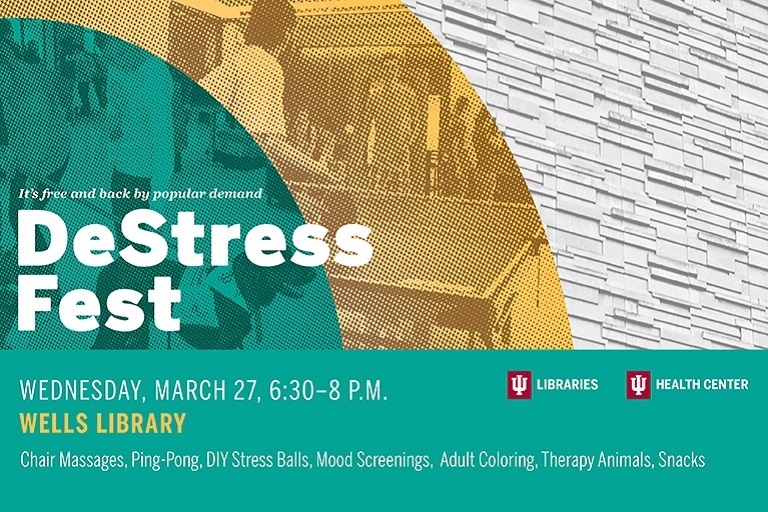 The Spring 2019 DeStress Fest, in the Wells Library Lobby, will feature food, games, buttons, student musicians, chair massages, biofeedback, the ever-popular therapy dogs (yes, actual dogs), and more! Stop by to relax, have fun, and manage your stress. Sponsored by the IU Libraries and the IU Health Center.